Connecting with people is the first step to creating greater awareness for the brand and that in turn, believes ISRO chief K Sivan, will translate into the institution becoming a place that people want to work in. Caught in a moment where its significance on the national stage is rising, the Indian Space Research Organisation is stepping out of the laboratory to build a brand that attracts talent from the country's A-listed institutions and resonates more soundly with people at large. The organisation says it will soon set up an incubation centre for space technology, adopt a more intensive school outreach programme and start a television channel dedicated to science and technology -- all this in an effort to embed the ISRO identity deeper into the public consciousness. ISRO Chairman K Sivan sees this as the only way the institution can keep itself relevant. So far, despite the work done by its scientists, the organisation is still far from being a household name, espcially outside the urban centres. This is in sharp contrast to the huge brand that its American counterpart, NASA, has built for itself. NASA's name brings instant recognition, not just in its home country but around the world. Besides, ask young scientists in India about their dream job, and the answer for nine out of ten students, would be NASA. Not too many people know about the work that ISRO does and Sivan says, he wants to change that. He is encouraged by recent successes that its missions have had and the interest that this has generated within the global scientific community. At home, too, ISRO has found a large following online, especially after its Mangalyaan mission to Mars in 2014. Still there are plenty of dark regions for the brand, making it difficult to rope in the best minds in the business. Attracting good talent has always been a challenge. In 2014, a query under RTI (right to information) about the composition of ISRO's employee pool, showed that only two per cent of its people came from the IITs and NITs, the country's premier engineering/scientific institutes. Connecting with people is the first step to creating greater awareness for the brand and that in turn, believes Sivan, will translate into the institution becoming a place that people want to work in. But the dots are not as easily joined, said a former employee, who has worked closely with the organisation in the past. "To thrive in such a competitive market, ISRO and its commercial arm Antrix need to think and work harder in building a brand," he added. 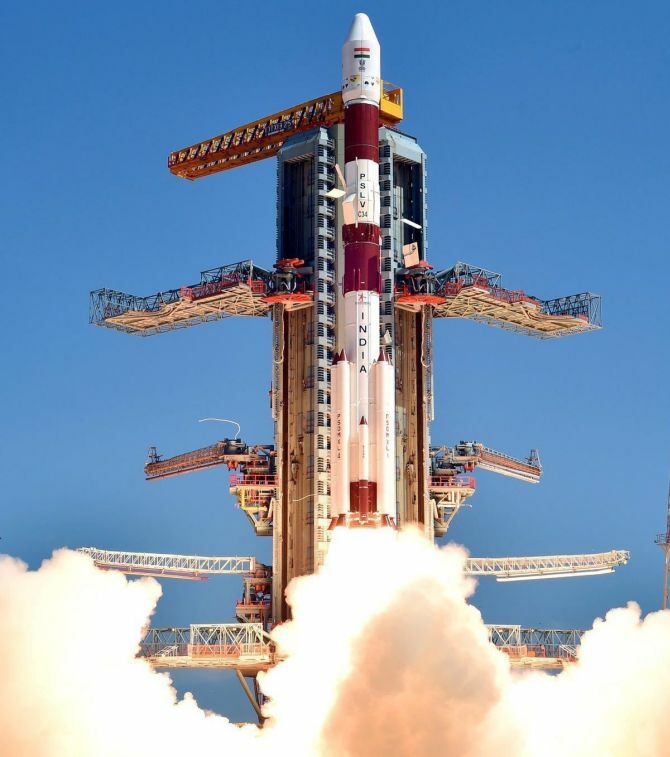 There is tremendous potential for ISRO to expand its influence today, given the huge interest space-related research generates among the young. The space launch services market is projected to grow from $8.88 billion in 2017 to $27.18 billion by 2025, at a compound annual growth rate (CAGR) of 15.01 per cent during the forecast period, according to Research and Markets. If ISRO is to take advantage of the rising public and government interest in the sector and leverage the vast pool of homegrown talent that India generates, it has to reach out to the right people in the right manner, the former employee said. Outreach is very essential, says Sivan. That is why he says, they are launching their own channel, 'ISRO TV', with a strong digital component. At the same time, the team is putting its energy behind exhibitions, seminars, displays, visits to facilities, connecting with schools and so on. The idea is to inculcate a ‘scientific temper' among Indians, Sivan added. 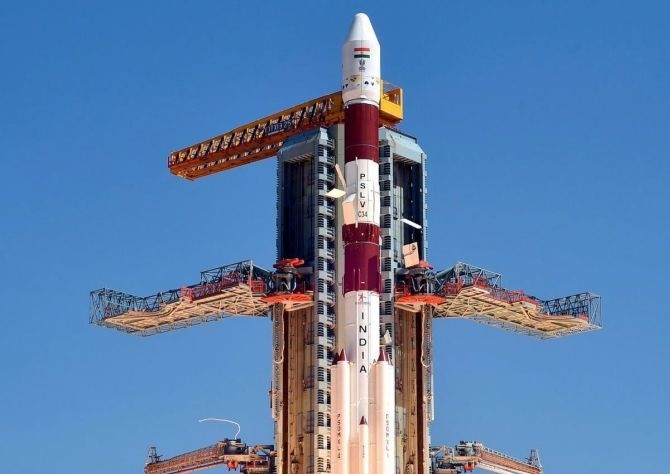 Ratan Shrivastava, advisor, space division, Federation of Indian Chambers of Commerce and Industry said that any space programme, including Indian ones, aim to provide access to the benefits of space to the ordinary citizens of the country. "The easiest and the fastest way to reach out is through television," he said. Historically, ISRO has recruited from tier II and tier III colleges, and groomed them to be pioneers, in space and aerospace, Shrivastava added. It is time to take this message across to a larger set of people. The channel will also help build greater understanding about science, technology and space. "We don't have any science TV channel. This channel, expected to launch in the next four months, will inculcate scientific thinking," said Sivan. While it will be launched in Hindi and English, ISRO TV will expand to other languages. The television foray will be supplemented with an aggressive digital presence. In this the organisation is looking to emulate NASA that has a TV channel and is also active on social media. And just as NASA has done, ISRO has a YouTube channel too. Sivan said, "Whether it be on Twitter, Facebook or even Instagram, it is imperative for ISRO to build a brand around itself online and not just with TV." There is an effort being put into creating a buzz around the brand. Social media posts that talk about its women scientists have gone viral in the past and a recent announcement that it would put a man in space in less than four years, has been reported and talked about extensively. Among its other plans are an ambitious merchandising programme and an incubation centre for space technology. "We want to have an incubation center. Our aim is that the best brains in research and development should be utilised. The start-ups can contribute to ISRO without joining us," Sivan said. He is also keen to monetise the enthusiasm around space by offering space-related merchandise. But getting Indians to stock up on ISRO rockets, or Mangalyaan memorablia, could well be a tough ask.